The twin acts of singing and fighting for freedom have been inseparable in African American history. May We Forever Stand tells an essential part of that story. With lyrics penned by James Weldon Johnson and music composed by his brother Rosamond, "Lift Every Voice and Sing" was embraced almost immediately as an anthem that captured the story and the aspirations of black Americans. Since the song's creation, it has been adopted by the NAACP and performed by countless artists in times of both crisis and celebration, cementing its place in African American life up through the present day. 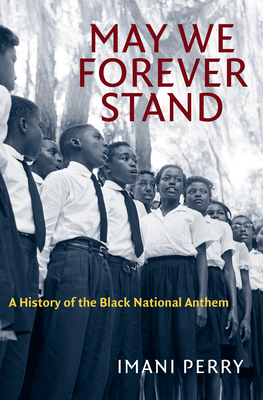 In this rich, poignant, and readable work, Imani Perry tells the story of the Black National Anthem as it traveled from South to North, from civil rights to black power, and from countless family reunions to Carnegie Hall and the Oval Office. Drawing on a wide array of sources, Perry uses "Lift Every Voice and Sing" as a window on the powerful ways African Americans have used music and culture to organize, mourn, challenge, and celebrate for more than a century.